While strolling through the woods in North Carolina, Wendy’s attention and camera were drawn to the light captured in the trees and reflected in the water near a rustic bridge. The numerous shades of green created by the light inspired this opal, green flourite, and peridot piece. 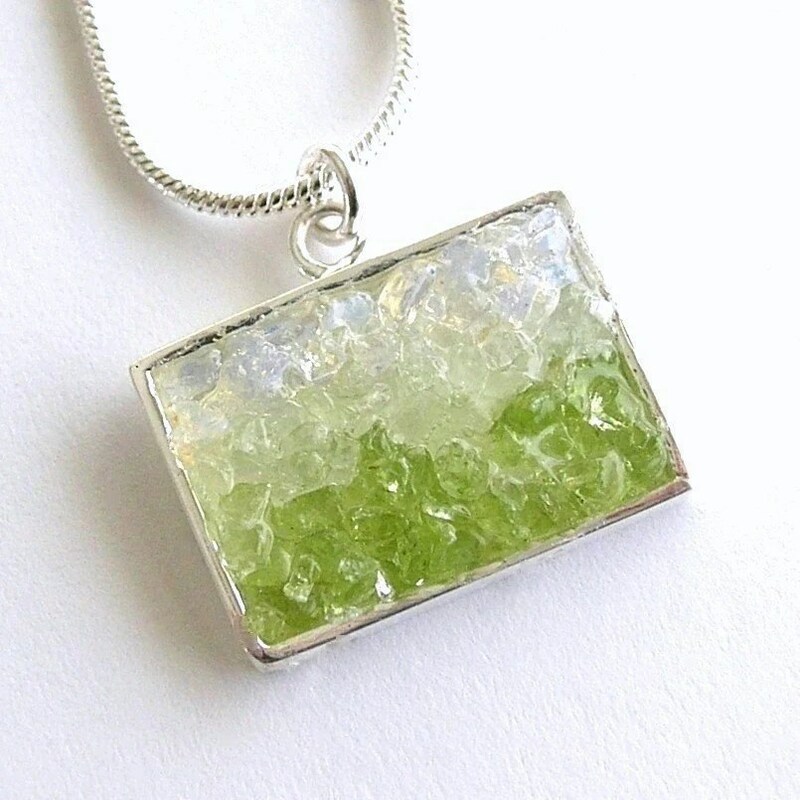 Purchase this gemstone mosaic pendant and other nature-inspired pieces on Etsy.